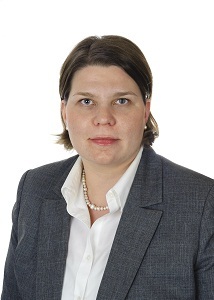 Eija Warma is a senior associate at Castrén & Snellman Attorneys Ltd., in Helsinki (Finland). Ms. Warma focuses her practice on assignments related to the processing of personal data, data privacy, and data protection, and she is one of the few Finnish attorneys specialized exclusively in this field. Her wide national and international expertise in the field and her experience working at the Finnish Data Protection Ombudsman’s office make her a well-recognized data protection specialist. Ms. Warma regularly authors articles relating to the protection of privacy and is a popular speaker on privacy-related matters, both in Finland and abroad. She is also an active member in the national and international associations of the field. Currently, Ms. Warma is a member of the European Advisory Board of the IAPP (International Association of Privacy Professionals). Who’s Who Legal Internet & e-Commerce ranks Eija Warma among Finland’s leading legal experts. In addition to her studies at the University of Lapland, Ms. Warma has studied law at Tulane Law School in New Orleans and at the University of Minnesota Law School, where she completed an LL.M. degree. Ms. Warma has also gained practical experience from the United States working at Smith, Gambrell & Russell LLP in Atlanta in the Fall of 2009. Faisal Daudpota is the senior partner at Daudpota International in Dubai (UAE). Mr. Daudpota regularly advises clients on employment, banking, Internet, data protection, including the issues pertaining to privacy, data processing, and data transfer, electronic and digital disclaimers on public access websites and secured web portals, conflict of laws issues in relation to data protection compliance, Voice over Internet Protocol (VoIP), civil liberties, human rights, anti-bribery, anti-corruption, competition law, and arbitration. Daudpota International is a legal consultancy with offices in the UAE and Pakistan. Mr. Daudpota previously acted as (seconded) in-house regional legal counsel to Nokia Siemens Networks, one of the world’s largest telecommunications company, for the Middle East and North Africa. He was also a consultant for the World Bank and OECD. He has co-authored the digital signatures law for the government of Pakistan, the intellectual property laws for the Dubai International Financial Center (DIFC) (to be promulgated), and has commented on a number of national legislations around the world. Mr. Daudpota is a member of International Bar Association (IBA), American Bar Association (ABA), International Association of Privacy Professionals (IAPP), and International Trademark Association (INTA). He has also been a member of Interpol’s Intellectual Property Crime Action Group (IIPCAG), World Customs Organization’s IPR Strategic Group, and the Steering Committee for the Global Congress on Combating Counterfeiting and Piracy. Mr. Daudpota has authored many articles covering various legal disciplines, and has spoken at many international conferences and seminars, especially, those at the World Intellectual Property Organization, World Customs Organization and Interpol. Fanny Coton is an associate in Philippe & Partners in Liège (Belgium). Ms. Coton focuses her practice on information technology and intellectual property and privacy compliance. She is admitted to practice law in Belgium. Felipe Isa Castillo is a partner with Arthur & Castillo in Santo Domingo (Dominican Republic). Mr. Castillo focuses his practice on corporate and commercial law; mergers and acquisitions; tax law; and international business practice. In his transactional practice, Mr. Castillo counsels national and international entities in their operations and international transactions with impact in the Dominican Republic. Mr. Castillo has represented national and international contractors in tenders and contracts with the Dominican Government. As qualified legal counsel, Mr. Castillo regularly provides specialized advice for the establishment, licensing and authorization, construction, maintenance and operation of agro business, energy, export free zones, transportation, telecommunications, and tourism infrastructure projects and their financing. Mr. Castillo is admitted to practice law in the Dominican Republic. Inês Antas de Barros is a senior associate lawyer in Vieira de Almeida & Associados in Lisbon, Portugal. She is a member of the TMT—Telecoms, Media and IT practice group. She focuses her practice on electronic communications, information technology, privacy compliance, information security and cybersecurity. She has been involved in data privacy and other similar projects that raise complex issues across multiple jurisdictions and/or legal or regulatory areas, including health, pharmaceutical, insurance, banking and telecommunications. Such projects have included conducting data protection risk management reviews; dealing with international flows of personal data; advising on the implementation of privacy compliance programs; the roll-out of global whistleblower hotlines; drafting privacy policies, codes of conducts, cross-border data transfer agreements, charters for the use of information and communication methods as well as guidance for data privacy officers. Ms. Antas de Barros has spoken at several data protection conferences. She is a member of the Portuguese Bar Association. Ms. Antas de Barros was admitted in 2012, as Legal Expert to the EuroPriSe project launched by the EU Commission (European Privacy Seal—http://www.european-privacy-seal.eu). Iván Dario Marrugo Jiménez is a founding Partner of Marrugo Rivera & Asociados – FuturLex. A graduate of the University of San Buenaventura of Cartagena, he obtained a specialist degree in Telecommunications Law from the Universidad del Rosario. He is currently pursuing a Master’s Degree in Personal Data Protection at the International University of La Rioja (Spain. Internal Auditor Certified in ISO 27001. Course in Certified Hacking Forensic Investigator v.8 of Ec-council. Expert in High Technology Law specializes in Electronic Commerce, Computer Law, Information Security, Information Technology and Communications, Forensic Computing. He is a Professor, author of specialized articles and lecturer of ICT. Jaime Cheng is an associate partner at Lee, Tsai & Partners in Taiwan (Chinese Taipei). She mainly advises clients on contractual and corporate general legal compliance, and intellectual property laws in Taiwan. Ms. Cheng currently serves as a vice-chair of the Intellectual Property Committee of the Inter-Pacific Bar Association and is a member of the Intellectual Property Law and Business Law Sections of the American Bar Association. Ms. Cheng is admitted to practice law in California. Jana Cernakova is an associate with Cechova & Partners in Bratislava (Slovakia). Ms. Cernakova has gained experience in providing day-to-day legal counseling to clients in various sectors focusing on corporate and employment law. She is a member of the employment practice of the firm and focuses her practice on employment and data protection. She regularly advises on privacy matters, especially on cross-border transfer of personal data. Ms. Cernakova is admitted to practice law in Slovakia. Jean-François Henrotte is a partner in Philippe & Partners in Brussels and Liège (Belgium). Mr. Henrotte focuses his practice on information technology; intellectual property licensing and litigation; information security and privacy compliance; intellectual property protection; and the law of unfair competition. Mr. Henrotte obtained a D.E.S. in Droit et Gestion des Technologies de l’Information et de la Communication from the University Notre Dame de la Paix in Namur and a LL.M. on Intellectual Property and Competition Law from the University of Liège. Mr. Henrotte is a regular speaker at conferences on information technology law. He is Chairman of the journal Revue du Droit des Technologies de l’Information (www.rdti.be). He is admitted to practice law in Belgium.